Some of your comics make me laugh out loud – this is one of them!! You look like one of spongebob’s friends. You are too funny!! 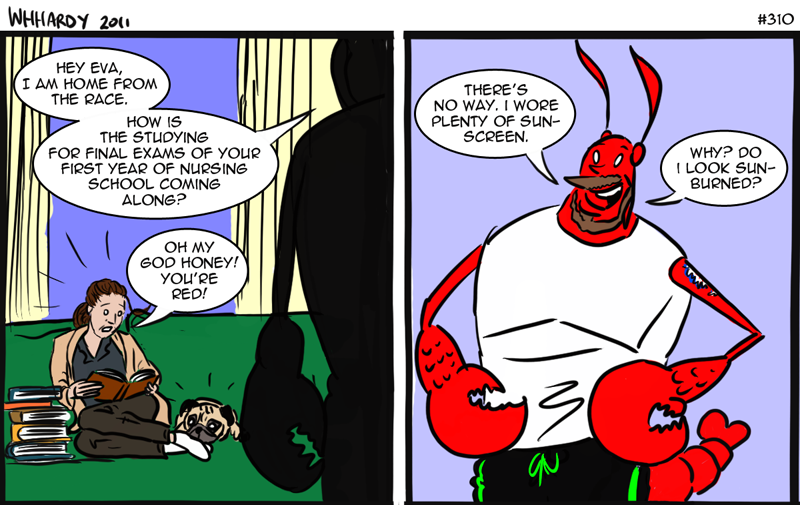 Larry the lobster was my inspiration. Glad you noticed.